Contributions for flowers to decorate our church for Christmas are invited. Please consider expressing your thanks, love, celebration or remembrance with a donation to the Christmas Flower Fund. 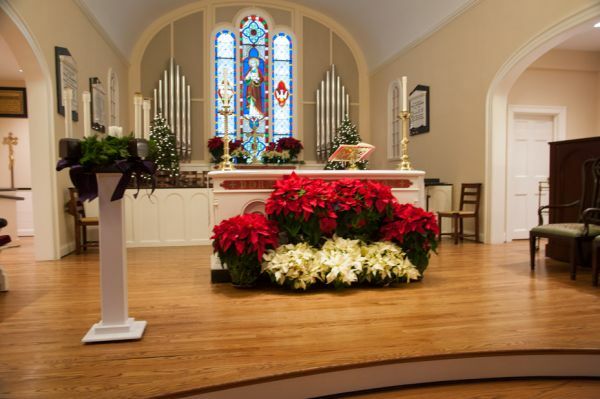 Please fill out a Flower Fund Form, found in the Narthex, in the Parish Hall lobby, or print out the form (Flower Fund Form 2018-19), enclose your check and put it in Sue Waiter's mailbox in the copy room by Sunday, Dec. 16 to ensure inclusion in the Christmas Eve services bulletins.